This chapter provides an introduction to the field of hybrid neural systems. 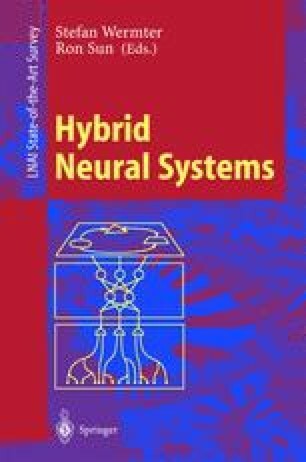 Hybrid neural systems are computational systems which are based mainly on artificial neural networks but also allow a symbolic interpretation or interaction with symbolic components. In this overview, we will describe recent results of hybrid neural systems. We will give a brief overview of the main methods used, outline the work that is presented here, and provide additional references. We will also highlight some important general issues and trends.